Are you a fan of hunting? Are you searching for a GPS to help you track hunting routes? If so, then you should consider one of the following models. With so many great pieces of equipment on the market, how do you know which GPS is the best for hunting? Each product in the previous list brings something unique to the table. They each have features that make them desirable when compared to the competition. But what are those features? And which of those features are most important to you? To begin with, here are the three top qualities to keep in mind. The number of satellites that the GPS uses for location information plays a role in the speed and accuracy of the device. At the very least, you want a GPS that connects to 12 different satellites. Twice that is the ideal scenario, though. The United States Department of Defense currently has 24 satellites that GPS devices are capable of using for location information. So, it's safe to assume that the best devices on the market will connect to at least 12 of these. Using a fewer number of satellites means it will take longer to calculate your current position. It may take as long as twenty seconds if the device is connected to less than 12. Fewer than that and you could be looking at close to a minute, which is not a good number. But what if two devices are connected to all 24 available satellites? What causes one of those devices to work faster than the other? It comes down to three important factors (only two of which you can control). The size of the antenna. The efficiency of the software. The number of satellites present in the area. A larger antenna might seem like it gets in the way, but it can provide a slight boost to speed when determining your position. If you want that information as quickly as possible, then you'll sacrifice a bit of space for a larger antenna. Efficient software comes from quality companies who put time into fine-tuning and testing their products. You can usually read reviews to find out what companies are the best at this. The efficiency of their program is often closely related to the next point. This is a broad category with certain areas that will be more important to some people than to other. It relates to how easy the GPS is to use as well as what all that it can be used for. The best devices can serve several different functions and they make it easy to do so. 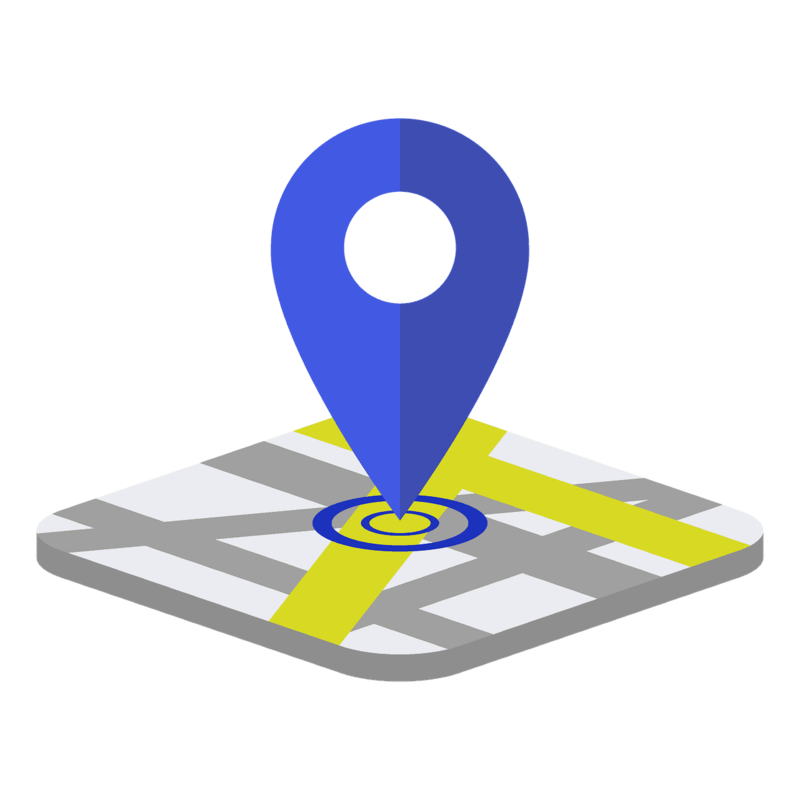 For example, you might want to mark a location for a route or you might want to mark a location as a place of interest. Some devices will only let you do one or the other. If you only plan on marking trails, then the ability to identify numerous points of interest may not be incredibly important to you. As for the ease of use, many hunting GPS seem to fall short in this area. Either the software is unnecessarily complex or the controls feel too awkward. You'll need to do a bit of searching and researching to find one that excels in both of these areas. The best GPS for hunting will have plenty of options and functions, but it won't be overly complicated and the controls will feel natural. This applies to the device as a whole as well as the battery on a regular basis. The fanciest, most advanced GPS in the world won't be of much help if it breaks the first time you drop it out of a stand. When it comes to hunting, you need a GPS that is tough and durable. That means it can withstand pressure as well as water. Battery life is extremely important as well. Your device needs to stay alive for the entirety of your trip. Otherwise, you'll need to keep spare batteries prepared. Most devices are rechargeable, but there are some that still use standard batteries you purchase at the store. Each has its own advantages. The best GPS for hunting will have a combination of these two factors. The device itself will be rugged with a decent resistance to pressure as well as high degree of water resistance. It should also have a batter with a long lifespan. Of course, bringing a spare battery is never a bad idea. There are certainly other factors to consider when searching for a GPS. That includes the size and weight of the device, the quality of the screen, the number of maps available, detail of the topography, and available accessories. You might also consider looking into the warranty of the device just in case it can't handle that fall from your stand. Next, we will take a closer look at the five GPS models listed earlier. From among those, we can choose the best GPS for hunting that fits your particular needs. Garmin is a name you'll hear a lot when it comes to hunting GPS technology. The Oregon 600t is one of their more compact models at only 3 inches wide and weighing only 7.4 ounces. It features a sunlight-readable touchscreen that can support multi-touch functions. As you might expect from a leading brand, it comes packed with plenty of bells and whistles. There are plenty of maps available and the device has a surprising amount of topographic detail to be so small. It can hold up to 4 million geocaches so you don't have to pick your favorites and delete the rest. This is also one of the easiest GPS devices to use. 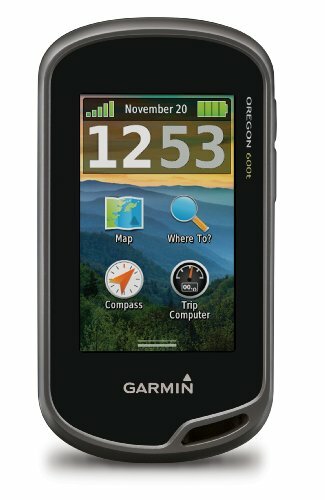 If you're just now buying your first GPS for hunting, then this would be a great option. There are no awkward buttons or hidden screens. The touchscreen feels very natural and easy to use. 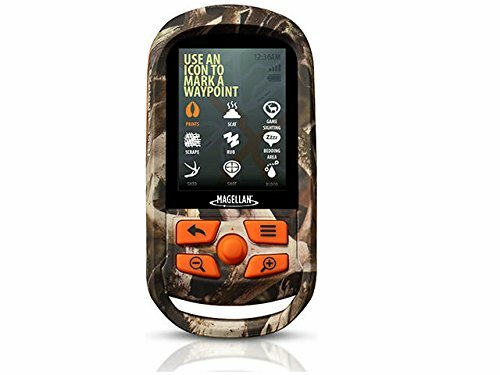 Magellan isn't quite as well-known as Garmin, but that hasn't stopped them from manufacturing what might be the best GPS for hunting. It's designed with the hunter in mind. It even features a camouflage pattern with orange buttons. There are specific waypoint icons with hunting themes and the program contains hunting boundary information for 40 different states. The boundary information triggers alerts that help you stay within an authorized hunting zone. The GPS technology is extremely accurate and works at a decent speed. It has an accuracy of around 3 meters. The topographic map includes multiple contour layers so that you always see exactly what you need to for the hunt. Unlike some other devices, this one comes with many different maps already pre-loaded. 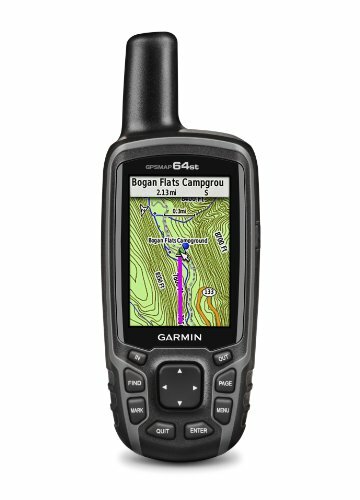 The second and final device on this list from Garmin is the GPSMAP 64st. The 64st features some interesting trade-offs with the 600. It doesn't look as sleek and sophisticated, but it's more reliable and a lot tougher. It definitely feels more like a GPS for hunting than the 600. As to which of the two is better, that may boil down to personal preference. The display is a bit smaller than the 600 at only 2.6 inches. It's powered by two standard AA batteries and those can be replaced with a NiMH rechargeable battery pack, which you can charge while it stays inside the device. One noticeable advantage that this model has is the powerful antenna. It features a quad helix antenna that can help deliver your location information quite a bit faster than the 600 model. 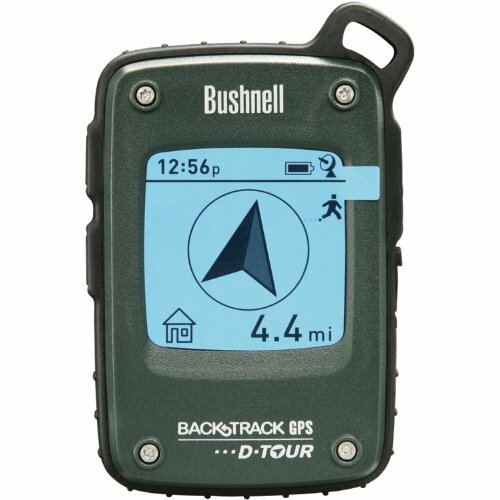 The D-Tour from Bushnell is a lightweight entry-level GPS designed for newcomers. It will definitely help you get around once you learn to work it, but it's not exactly an ideal solution for hunters. It's unlikely that anyone would consider it the best GPS for hunting, but they might still use it if they were tight on funds and it was their only option. It can store up to five different locations along with some additional information such as time, altitude, and even workout information. The GPS receiver works fast enough that you don't have to stop for several minutes when you use it. However, to see a quality topographical map you'll need to use your computer. The final GPS on the list is the STI GL300 from Spy Tec. It's not a traditional hunting GPS in that you can't look at it and tell where you are at or where you need to go. It's constantly gathering location data and then sending it back to the website. You can use it to create routes that you have walked while holding the GPS or to set specific boundaries for your trips. The Geofencing feature helps with the latter. Of the five devices reviewed, which would you say is the best GPS for hunting? Each has its own unique features that help it stand out. The GL300 from Spy Tec lets you create an accurate geofence around the hunting zone while the 64st offers a powerful quad antenna with a high degree of accuracy. The clear leader is the 350H from Magellan. The device delivers location data quickly and accurately. It lets you store locations wherever and for whatever reason you choose. The casing is extremely durable and stylish. It's the only GPS on the list designed specifically for hunters with hunting boundaries and hunting waypoint icons. Each GPS on the list is great in its own way, but Magellan is clearly the best for hunting.